← Why do Compound Exercises? Before you read on… if you’re interested in how to start Intermittent Fasting… see this post: How to: Intermittent Fast. In my IF 1:6, I’ve been fasting for 18 hours (stopping eating at 8pm) and starting again at 2pm the next day. I’ve found it pretty easy where I’ve only really been getting hungry towards the last few hours of the fast (from about 11am – 2pm – lunchtime). And I just started experimenting doing exercise on my fast days too. I think I’m now ready to try it two days a week, and am going to incorporate it on days where I’m exercising. The idea is that when you do low intensity workouts at the end of your fast, your body metabolises fat better…and when you do heavy weights workout, your fat metabolism increases too – making it easier to shift stubborn body fat. (see more here). Stop eating at 9pm Sunday night. Monday exercise: up to 1 hour of strength training. Drink water and green tea for breakfast: drink 2x coffee & 5-8 green tea, plus plenty of water. Stop eating at 8pm Wednesday night. Thursday morning, up to an hour run 6:30-7:30am. Drink water and green tea for breakfast, then 2x coffee & 5 green tea, plus plenty of water. Start eating at 2pm on Thursday afternoon. My flexible approach to how long I fast: With the first fast, I’m pretty flexible with how long it goes on, as I’ve experimented with 24 hour fasts, and I think it’s perhaps just a little too long to be without food. Each to their own, but I like fasting anywhere between 16-22 hours. Depending on how I feel I may fast longer than 18 hours. What I eat on feed days? There is the suggestion that you can eat what you want on your ‘feed’ days, but I’m like to try and be as healthy as I can be (with the occasional cheat meal / cheat snack). 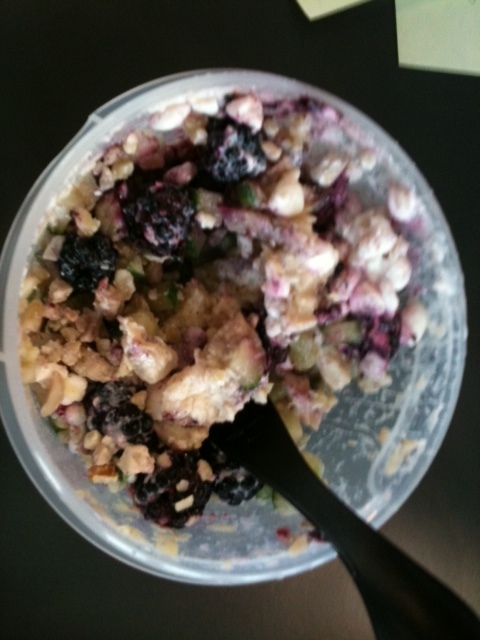 Chicken, cottage cheese, chopped nuts, blackberries and cucumber. 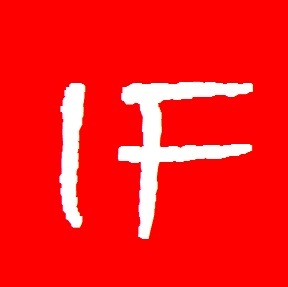 This entry was posted in Challenge, Fasting. Bookmark the permalink. 720,073 - Thanks for stopping by!